Nicely updated unit in Mountain Shadows. 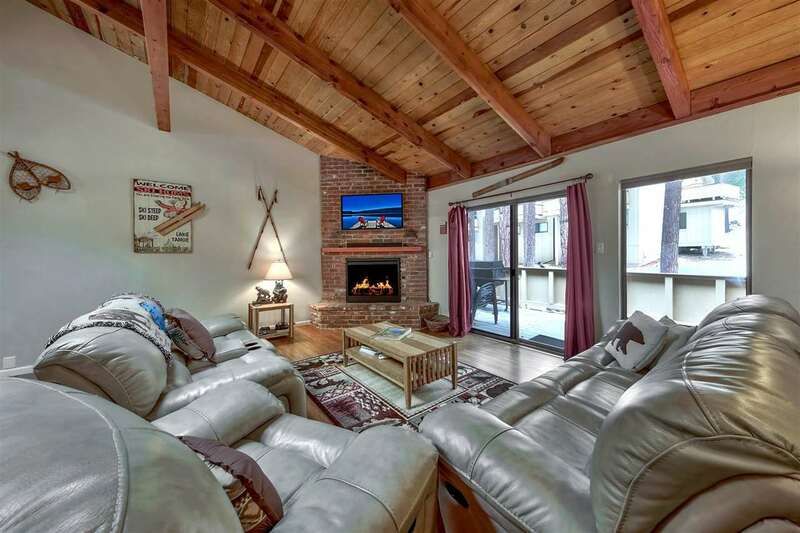 Lovely great room with high ceilings and open beams give you that classic mountain feel, while the updates throughout give you every modern convenience. Featuring 3 bedrooms, 2.5 bathrooms and selling mostly furnished. New bamboo hardwood floors, kitchen countertops, kitchen appliances, bathroom fixtures, skylight and roof. Ideal location for your Lake Tahoe getaway and great vacation rental potential. Nevada tax advantages.